You know that soft, warm, dependable shirt you wear at least once a week? We’re bringing a new one to you. I started Teezus Apparel back in May of this year because I wanted to give something special to the t-shirts found today. All of the name-brand companies in our modern day have gone from creating artwork and amazing graphic tees to logo-ed plain shirts. I wanted to give new life to the t-shirt industry by combining unique artwork with high quality t-shirts but still keeping the costs affordable. After many long hours tackling the drawing board, Teezus Apparel was born. 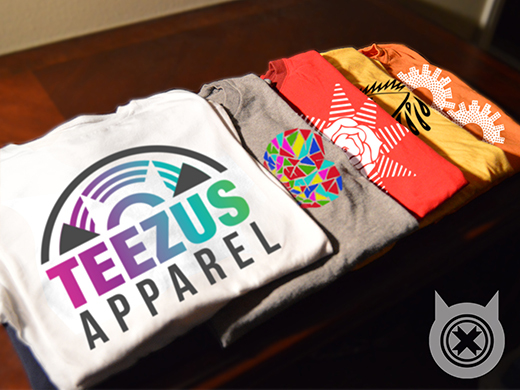 Although Teezus Apparel began as just a couple inspired sketches, it has now become a new lifestyle. If I could describe Teezus Apparel artwork in one word, it would be ‘avant-garde.’ Its new, innovative, and some may even call it unusual, but I truly believe that it is unique and different from anything you’ve ever seen. We really value the quality of our product. Not only is it important for you to have a beautiful shirt, but we want you to be comfortable in it too. 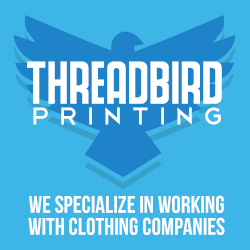 Our shirts are made from 100% preshrunk, soft-feel cotton and are inks are of the highest quality. I currently have a project on Kickstarter called Teezus Apparel (http://kck.st/1AqlfdF) that will run through October 12. This Kickstarter features 10 different designs to choose from. Each shirt is $20 to a limited number of backers and ships free to anywhere in the US. The campaign also offers customized silicon wristbands, the option of creating a personalized t-shirt, and you can even create your own design for our online store which will be opening in January 2015. We are offering a men’s cut, women’s cut, and crop top cut for all of our shirts. If you have any questions or would like to get in contact with us, you can visit our website at www.teezusapparel.com or email me directly at [email protected]. I would love to hear any questions or comments that you have!